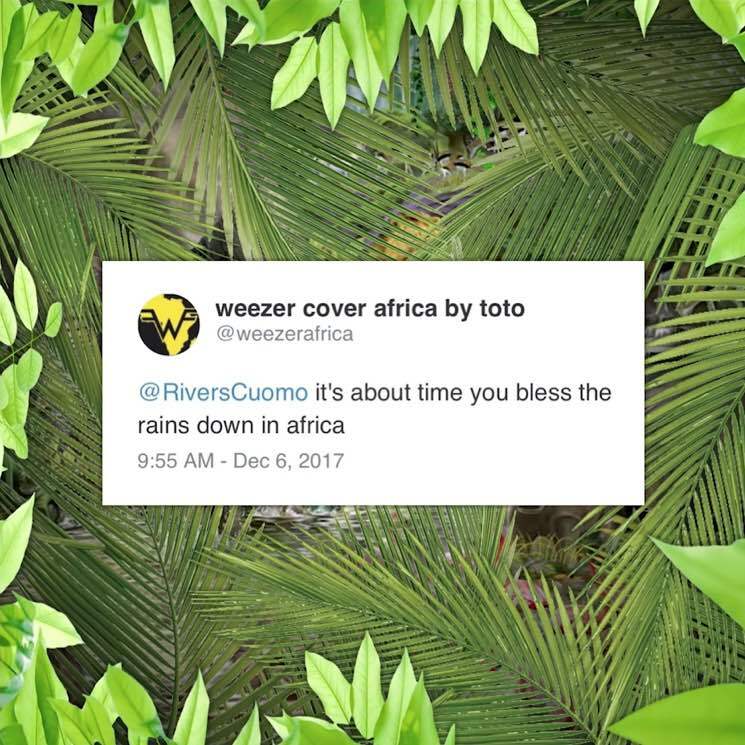 After more than a year of pestering from @weezerafrica's online campaign to get Weezer to cover Toto's hit song "Africa," Rivers Cuomo and co. have finally given in and given the people what they want. Last week, the band trolled the trolls by giving them a cover of Toto's "Rosanna," but now the requested song has finally been recorded and released. Weezer's take on Toto's "Africa" is a pretty faithful cover to the 1982 original, but definitely sounds a lot cheesier blasting through speakers in the year 2018.